It might seem that the kinematics of exactly how albatross maintain their flight over hundreds of miles per day would only be of interest to biologists however, a team of engineers from the Massachusetts Institute of Technology (MIT) have found that the flight patterns of these gigantic birds could well be used for a number of applications in other areas of scientific research. Albatrosses are certainly impressive birds and anyone who is lucky to have seen one up close couldn’t help but notice their huge size and imposing presence. As a bird species, they are also remarkably long-lived. The world’s oldest known bird is a Laysan albatross named Wisdom. She was tagged in 1956 and every year returns to nest on Midway Atoll in the North Pacific Ocean, along with roughly another million albatross. We know that Wisdom is at least 66 years old as when she was tagged she was already fully mature. Scientists estimate that she’s flown over three million miles in her lifetime and hatched at least 30 chicks. Once those chicks are fully grown, they will end up with a wing span of anything up to 11 feet (3.4 metres). These huge birds then spend the majority of their lives travelling across the world’s most remote stretches of ocean. They can travel around 500 miles per day, swooping effortlessly over the ocean with only the smallest flap of their wings every now and again. The study, titled ‘Optimal dynamic soaring consists of successive shallow arcs’ was published in the Journal of the Royal Society Interface on October 4. Authors Gabriel Bousquet, Jean-Jacques Slotine and Michael Triantafyllou suggest that their research can help inform a number of different branches of science, including the study of our changing climate and the development of drones which can harness the power of the wind. 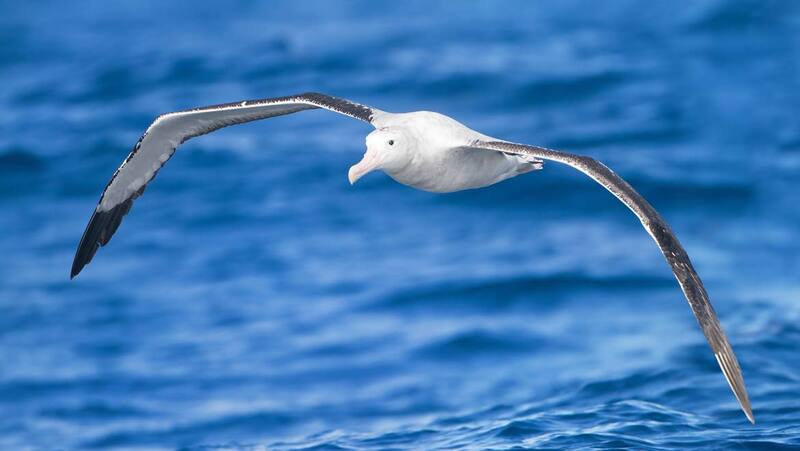 The aim for this team of engineers is now to work towards the construction of a wind-powered drone, or ‘robotic albatross’ that could traverse remote stretches of ocean with a “virtually infinite range.” This could certainly help increase our understanding of climate change, its effects on our planet and, of course, on these magnificent birds, the real albatrosses themselves.